ReplayPoker are obsessed about making an awesome poker site. Their goal is to make the best play-money poker site in the world. 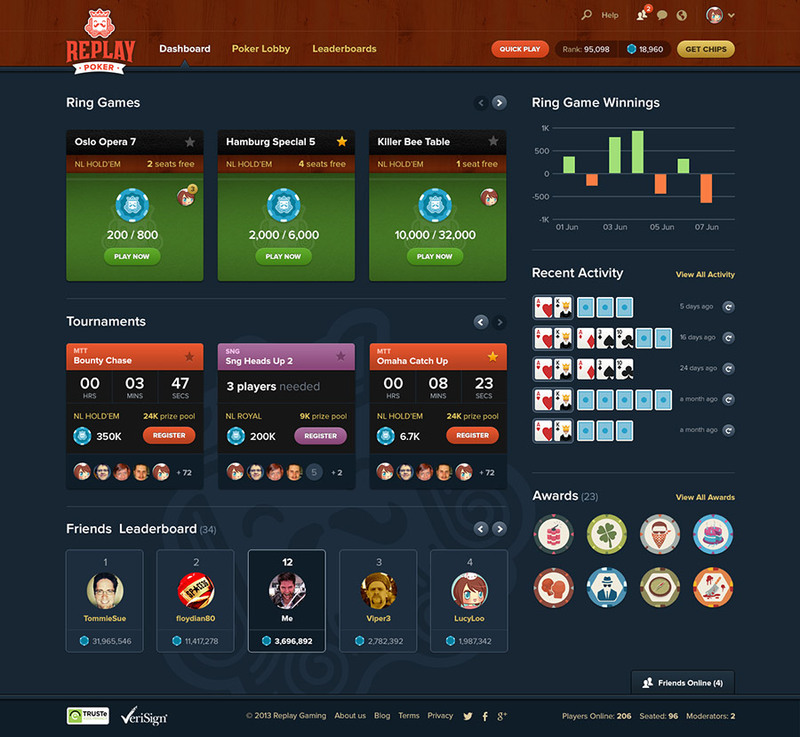 ReplayPoker approached Supereight to re-imagine their tired and dated brand, website and poker app experience. They wanted something which better represented their existing user base, attracted new ones and made things more awesome. 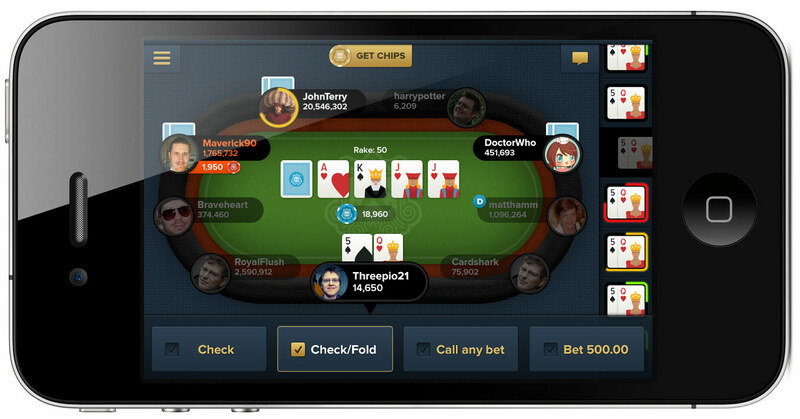 We worked with CEO Paul Gould (AKA MrReplay) and his team of poker experts based in Brazil. Over a series of Skype video conference calls we learnt lots about true gamification and how user communities use and interact with poker sites. We brought our experience of UI design, UX, branding and illustration skills and married it with their in-depth knowledge of poker. We produced over 80 custom vector illustrated poker chip achievement badges to enhance the gamification experience. A custom 42 card artwork set. We created a new logo, brand identity and guidelines. Reams of UX documentation including userflows, personas, wireframes and detailed UI style guides. A mobile first approach including detailed UI design work for hundreds of screens for mobile, tablet and desktop. 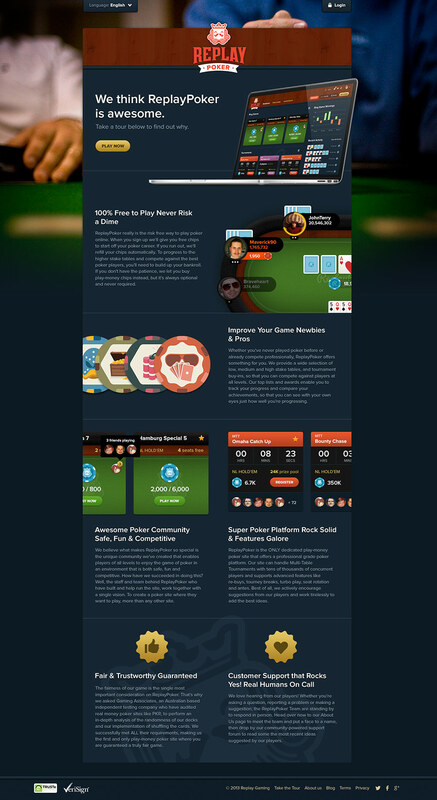 You can read more about the redesign on ReplayPoker's blog. A big THANK YOU for all your work on the project. You did an AWESOME job!!! I can't wait to get it live on the website.